Maybe reminding us how long it has been since our last issue of Mountain Views, we can now report that our Summer 2008 Social Event, held in the Aberdeen Grammar FP Club last June was a success. Whilst we did not manage to attract along very many new Clubs we certainly had a very good turn out from our own Members. An excellent photographic quiz was organised by "the Kennys" that really had us all wracking our brains. 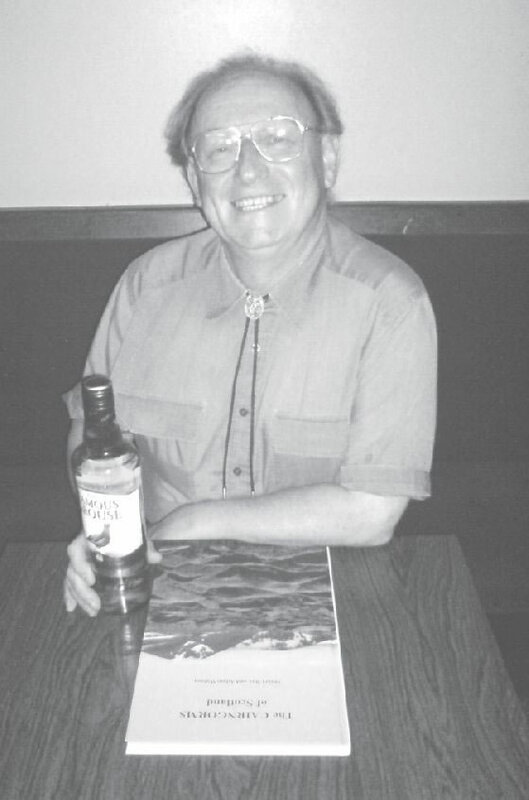 All that is apart from our own Kris Howard who you see here sporting his prize of a low-flier bottle of whisky and copy of Adam Watson's and Stuart Rae's book The Cairngorms of Scotland. Well done to Kris who answered all quiz questions correctly!